For many years I had two beautiful labs. Maya was a chocolate lab and two years older than our black lab, Josie. I got them both when they were 8 weeks old and they lived to be 16 years old. Now that they are no longer with us, I have started to think about getting another dog. When I got Maya and Josie, having labs made a lot of sense. But, now that we have less yard, we need to think about a dog that will be happy spending more time indoors. As a result, I have been thinking more and more about pet, and specifically dog (sorry cats), decor. Dog beds and other accessories have come a long way in the past 18 or so years. Thankfully, you can now find something to coordinate with almost any space. 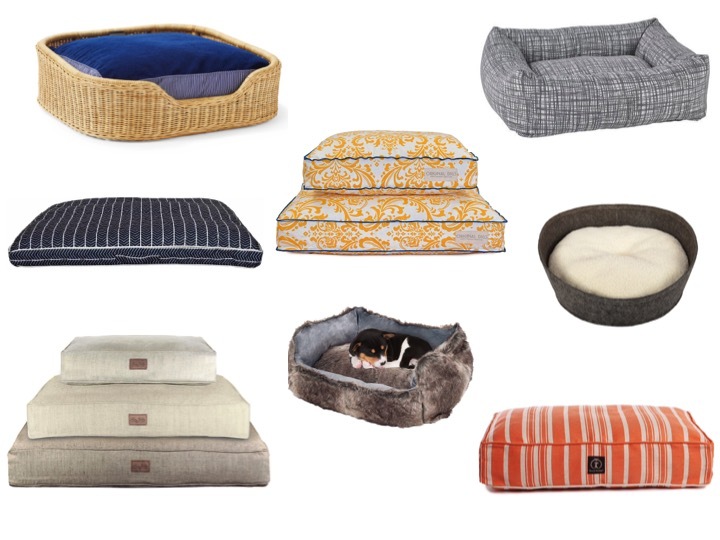 One essential item is a really great dog bed (and likely two, depending on the rooms where your pet will spend time). As you can see from the images above, there are numerous styles available. From preppy, to luxe faux fur, to a more feminine pattern, there are an abundance of choices out there. And, while it used to be that you could only get stylized pet beds if you were willing to pay a high price, they are now available at discount retailers like Target and Chewy.com. 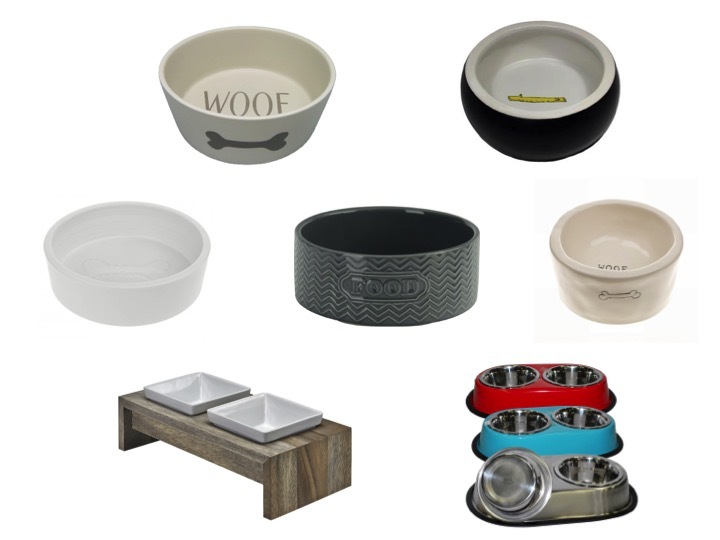 The dog accessory that is absolutely essential and highly visible in your home is a food and water bowl. As with dog beds, the choices have come a long way. The styles range from retro, to modern, to hand-painted ceramic – and everything in between. Because this is an item that you will be forced to look at every minute of every day, I think it is critical that it mimics the look of the rest of your space. Luckily, with all of the choices out there, it should not be too hard to find something that works well.